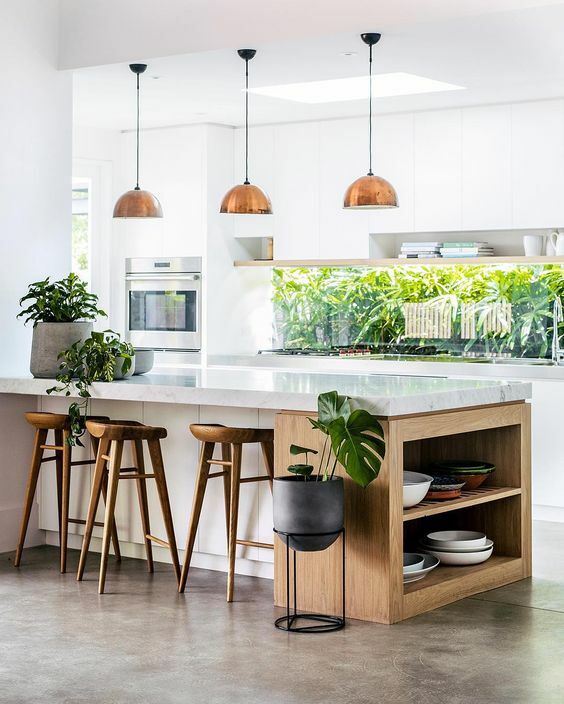 Practical and pretty, the kitchen splash-back is not only a kitchen necessity, it can also pack a creative punch to enhance a kitchen’s style or stand out as a feature itself. 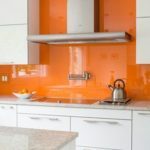 The kitchen splash-back is generally installed behind the hob or stove top and sink area, protecting the wall from moisture, heat, and cooking residue and grease. 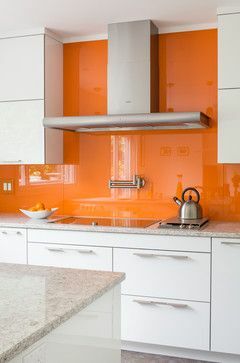 Whatever style and material you choose, the splash-back must be easy to keep clean and hygienic, and must be moisture and heat resistant. 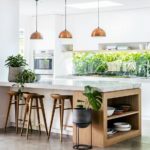 The splash-back is most often one of the last finishes to be decided upon as the choice needs to complement and work with the overall kitchen design, and most specifically the countertop it is being fitted above. 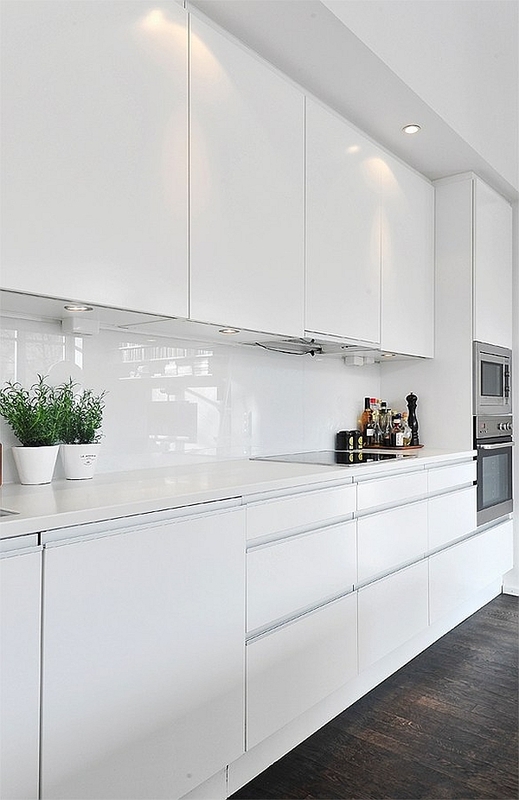 The interior style of the kitchen will set the tone for the style of splash-back i.e. 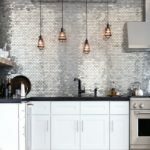 if you are going for a traditional kitchen style, tile will work well; if you want a modern look, glass may be the best choice; or if you want an industrial kitchen, metal is a good option. Once you have considered your desired style and determined your budget, then it’s time to consider your options. 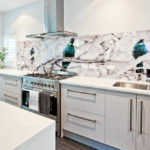 Although tiles are still the most common splash-back material, you can update the look by changing the arrangement, or choosing handmade or hand painted tiles over bulk-production tiles. 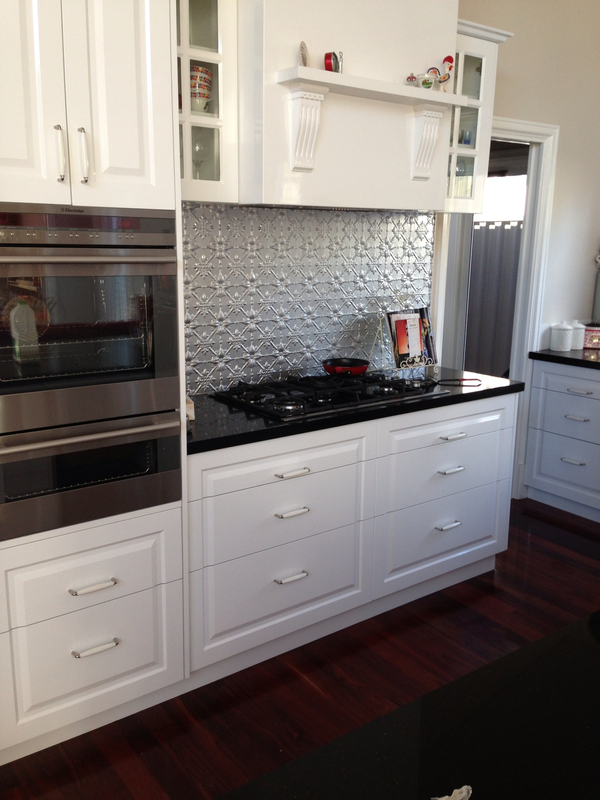 A favourite in modern design, glass is sleek and stylish, and offers so many colour choices. 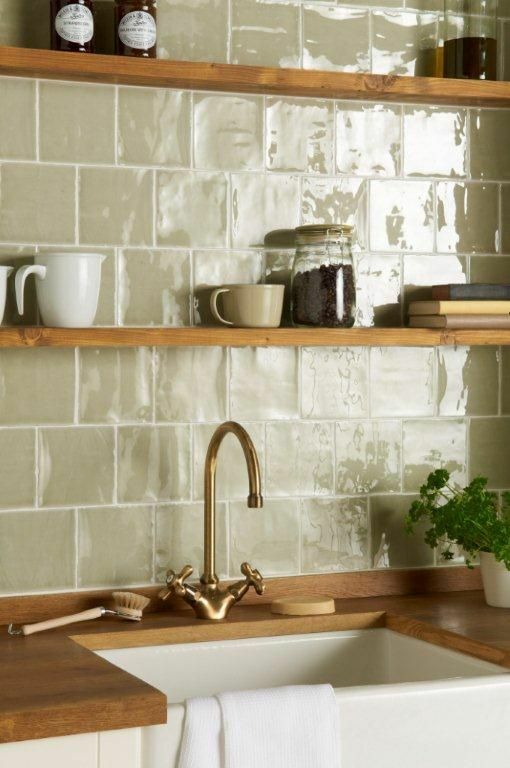 Available in large panels or tiles, glass reflects light beautifully and is easy to keep clean. Get creative with backlighting or down lighting to amplify its reflective quality. 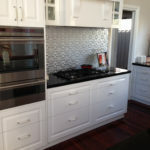 If you do not have the budget to go with a glass splash-back, acrylic is a great alternative. It offers the same colour and finish variety but unfortunately cannot be installed close to a heat source. 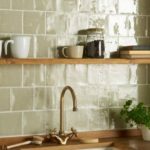 Stainless steel, recycled aluminium or pressed tin, you are spoilt for choice with this industrial material. Typically used in commercial kitchens, metal is hygienic and easy to clean, although is prone to scratches if not maintained properly. 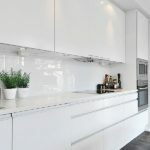 A miracle solution in smaller kitchens, mirror reflects light and makes a space look bigger, it is also easy to clean and works brilliantly in modern contemporary kitchens, and makes an interesting juxtaposition in more traditional styles. 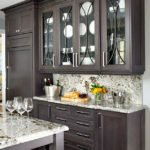 If you have the budget, then this classic material will add enormous style and financial value to your kitchen. 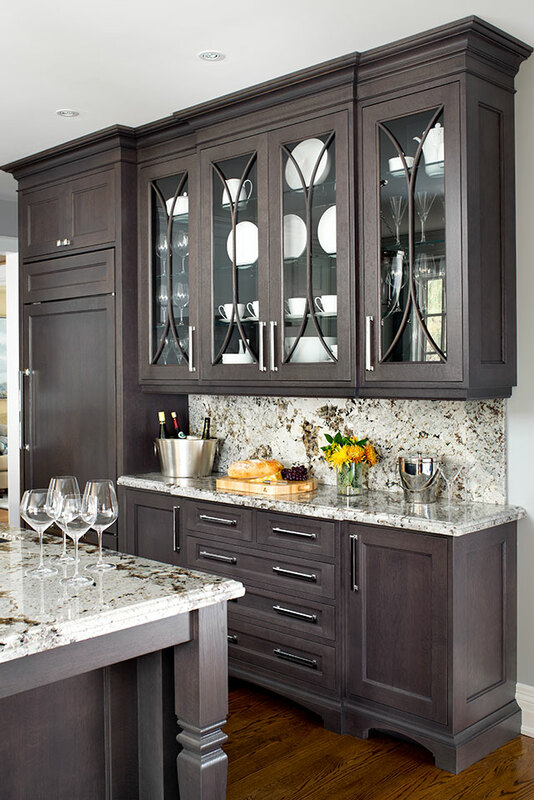 When the same material as the countertop is used, the effect is seamless, expansive and sophisticated. A favourite photograph, wallpaper or pattern can me made into a practical artwork by installing it behind clear glass as a feature splash-back. 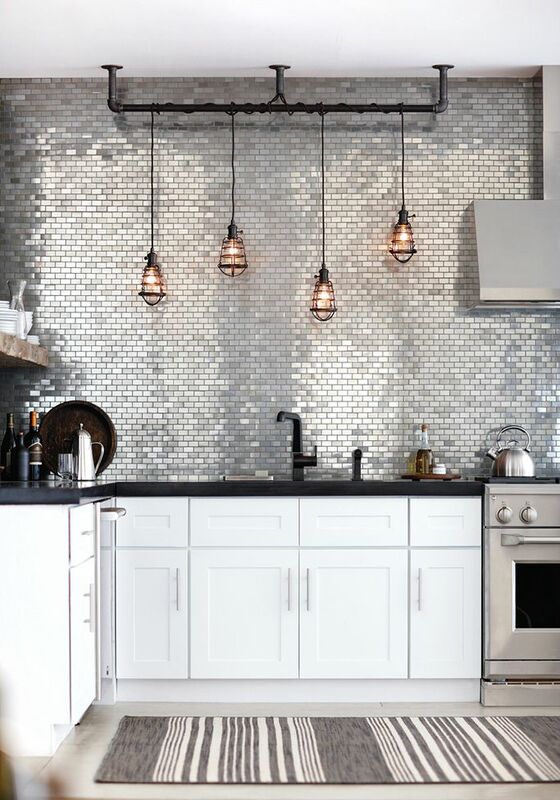 This creative bravery certainly makes a statement and will create a one-of-a-kind kitchen. 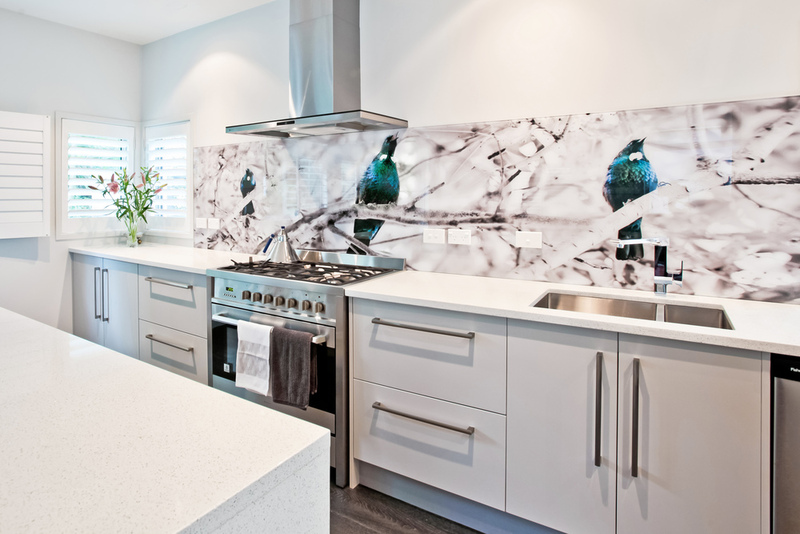 Let the light in by designing your kitchen to position your sink below a window that looks out onto a beautiful view. Great for ventilation and natural light, clever planting may even get you fresh herbs just an arm’s length away.